As like all regions in the World of Pokemon, The Alola Region is no different with Daily Events, These are in-game events a player can access daily, usually to obtain a given item or Pokemon. During this second journey of the Alola Region, more Daily Events have been added to further aid players in gaining items and Money. Free Tea Biscuits: Should a player make a purchase at the cafe in any given Pokemon Center, they will be given a free "biscuit" with each of their purchases. This healing item changes dependent upon the day of the week. Free Berries: Across The Alola Region are Berry Trees, where fallen berries can be obtained for absolutely no cost to a player. These trees have certain berries fall daily. Island Scan: If a player should scan ten QR Codes with their QR Scanner every day, they will be able to perform a Island Scan. This feature scans for rare Pokemon, and the Pokemon that appears depends on both the day of the week and which Island of Alola you perform the scan on. 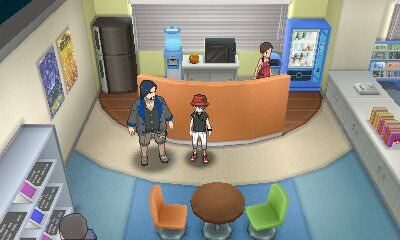 Battle Buffet: Every day a player can visit thee Battle Buffet in the Hau'oli City Mall. The customers that are found within, the same that want to battle you over a dish, changes each day. Malie City Gym: Once a day, a player can challenge the Malie City Gym for the price of $1,000 Poke Dollars. Though you won't get much more than a Fresh Water for battling this so-called Gym, it is a good chance to gain even more experience for your Pokemon. Pyukumuku Chucking: In Hano Beach, there is a job a player can sign up to do to throw Pyukumuku off the beach and back into the ocean. A player can do this daily, and they will earn a small fee for doing so. Loto-ID: Each and every day, a player can test their luck in the Lottery in the Hau'oli City Shooping District. If they have a matching number to their Player ID, they will earn various prizes. Morimoto & Iwao Battle: After defeating the Elite Four, a player can go to Heahea City and battle GameFreak Directors Morimoto and Iwao, similar to previous Pokemon Games. They can be challenged once a day. Free Moomoo Milk: If you head to Paniola Town each and every day, you will receive a free Moomoo Milk for visiting. Item Buyer: Every day, you will find a man outside the Pokemon Center in Paniola Town. Each day, he will ask you for a given Healing Item. Should you let him buy this item from you, he will pay the hefty price of $5000. Massage: Once per day, you can take one of your Pokemon to Konikoni City to have a free massage done to it. This will increase the Pokemon's happiness. Free Berry Samples: Each day, a player can go to the Thrifty Megamart in Royal Avenue and receive a free sample from the clerk. The berry they receive changes by the day. Festival Plaza: All the shops in your Festival Plaza are time-based from one day to the next. Nectar: In all the Meadows across Alola, much like the berries of such, the nectar found within will replenish itself daily for your player to find and obtain. Restaurant Meals: Throughout Alola are many Restaurants a player can dine at. Each restaurant has a set menu of dishes, and you will receive a Heart Scale after your meal. However, if you pay for the most expensive meal, once per day one of the Island Kahunas will come and share the meal with you after you have defeated their grand trial. They will each pay for your meal and give you an abundance of Heart Scales. Discounted Big Nugget: After defeating Team Skull in Po Town, you will find Office Worker Royce there. Should you defeat him in battle, he will sell you a Big Nugget every day for $5000. You can then sell these Big Nugget, available for purchase from Royce daily, at any given PokeMart for $20,000. Free Poke Ball: Should you return home daily and have your mother heal you Pokemon, she will give you a free Poke Ball as well. Trial Guide: Once a day, you can talk with the Trial Guide on Route 2 leading to Route 3. Needing to use the bathroom, they will ask you to cover for them briefly. As you take control of the barricade, Captain Ilima will ask you to open the gates at random times. If you do things properly, you will receive a Soda Pop. Should you don't, you will still receive a Fresh Water.